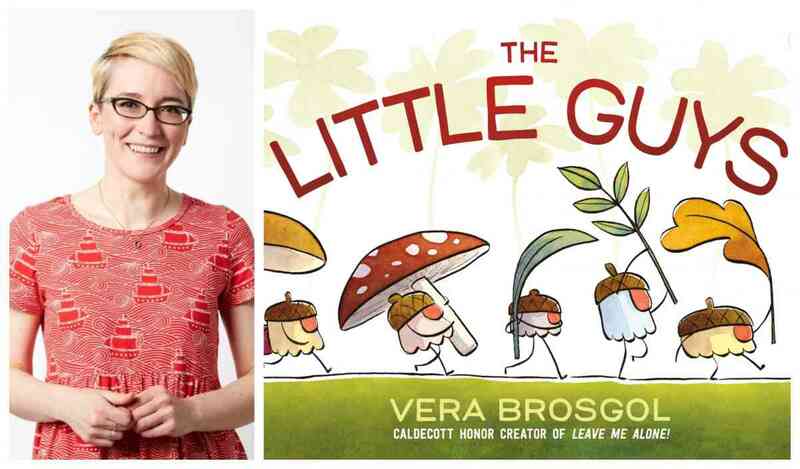 Vera Brogsol reads The Little Guys for a very special storytime. About the Book: We are the Little Guys. Yes, we are small. But there are a lot of us. Together we are strong, and we can get all we need. The Little Guys might be small, but they aim to be mighty. As they head off to find breakfast, they can conquer anything through teamwork—cross deep waters, dig through obstacles, and climb the tallest trees. Nothing can stop them! But as they begin to amass more than they need, the creatures in the forest ponder—what happens when no one can stop the Little Guys? This slyly funny and rambunctious read-aloud explores how strength in numbers only works when the whole community unites together. About the Author: Vera Brosgol was born in Moscow, Russia, in 1984 and moved to the United States when she was five. Her two graphic novels, Anya's Ghost and Be Prepared, were published by First Second, and her debut picture book Leave Me Alone! was a 2017 Caldecott Honor book. She drew storyboards for the animated films Coraline, ParaNorman, and The Boxtrolls. She lives in Portland, Oregon with her dog Omar, who could probably take on the Little Guys, no sweat.